This is the Ahil's specialty hamburg wrapping foie gras. 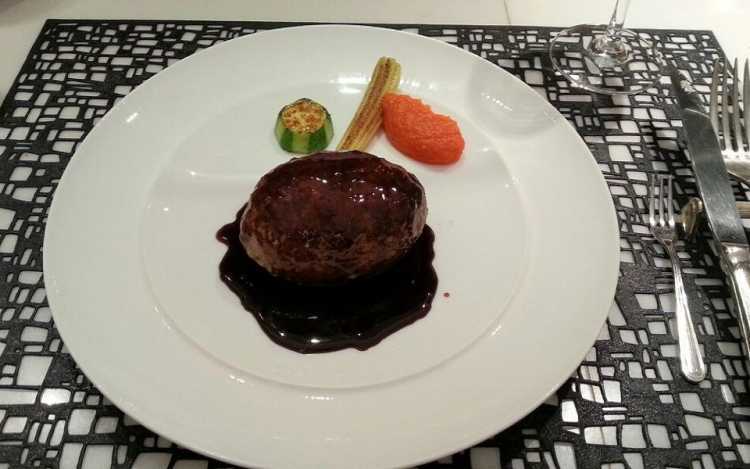 It uses selected Japanese beef and pork and foie gras go well with those. Delicious and creamy.